I used Skyscanner Multi-City bookings for my 2017 world trip. 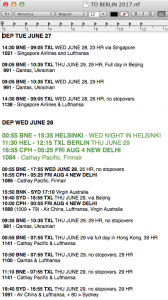 It netted me cheap flights to Berlin, a bonus overnight stopover in Helsinki, and a free flight to India – all for less than a one way ticket! Skyscanner is my most frequented travel website. I send more people Skyscanner’s way than anywhere else. If only I could earn referrals! Skyscanner is an airfare aggregator that searches numerous different booking websites and airline databases to find the best deals on flights. Prices are updated every minute. I cannot overstate the degree that Skyscanner Multi-City Booking improves the best price for your chosen adventure and the quality of airline, with less travel time. It is amazing! Like anything else, you have to know how it works, and how it can work for you. With a little bit of time, work and passion, you can tailor and tweak your searches to find incredible results. 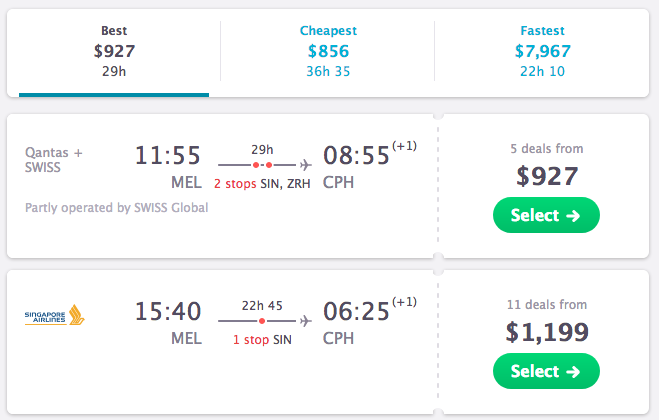 Here’s a recent hack I’ve found using Skyscanner’s Multi-City bookings. When you look up a flight, you are considering one of the biggest decisions of your travels. It’s not simply, Point A to Point B, on Air C, at Price D.
Booking flights is way more exciting than that! First, to save money, you may need to be a little bit flexible. Perhaps you can leave the evening before, or the morning after, and save a considerable amount of money and time? Maybe there’s an alternate airport nearby to consider? How about a stopover? When you book a departure city to a destination, you are locking in something that will impact your life. Not to mention your sleep, jet lag, and what you can do on the day you arrive. Imagining potentially concrete realities is stimulating and exciting. Even looking at flights puts you there, when you play through your mind how it will pan out. What time of day are you leaving? What time do you arrive? Will either require rush hour traffic? Late night public transportation? How can I spend time at the chosen airport before leaving? What will the stopover be like? What will it be like at my arrival city? “You plan to depart Brisbane Airport around midnight, and arrive in Berlin sometime in the early afternoon the next day. You spend the evening in Brisbane city, and make it to the airport with lots of time to spare. After a brief stopover at Frankfurt airport for a morning coffee, breakfast, and checking your emails, you land in Berlin during the afternoon. Your transportation takes you through the historic capital, while locals look ahead to their approaching weekends. None of these actually happened for me, but this was the first route I considered for the beginning of my trip this year. Each variation of possible flights conjured new imagery in my imagination. Looking forward to spending 5 hours in transit at Singapore’s exceptional Changi Airport. Layovers in numerous cities. The possibilities of spending a night somewhere new. Arriving in the morning in Berlin to enjoy all day in the city. In the end, thanks to Skyscanner multi-city bookings, I found myself the best possible price, a night’s stopover in Helsinki… and a free flight to New Delhi for the same booking. One problem with piecing together solitary, one-way flights, is the cheapest fares are often the most budget airlines. In many cases this is satisfactory, but less so for long distance routes. Cheap fares regularly make multiple stopovers and increase travel time by many hours. Not to mention my life in the hands of unknown others. Even as a budget traveler, I am not willing to compromise on airline quality and travel times on long distance routes. For example, I don’t care how much I save, I’m not spending 30+ hours in transit on carriers with dodgy reputations. An inherent benefit of Multi-City Bookings is that the airlines and routes it finds are generally among the world’s best. Low budget carriers usually don’t match using this method, paying less for top airlines than piecing together low budget flights. I discovered this by accident, almost out of necessity. I was less than thrilled with the expensive one way flights from Melbourne to Berlin. The week after my birthday is the peak summer travel season and flights are among their highest. I tried to be creative, and use multiple, separate bookings to piece together a more exciting and affordable trip. This meant checking combinations of various Australian cities to numerous Asian counterparts, and from there to European centres. It was a tedious task, but I learned a lot about popular and well-priced routes. Each search stoked the imagination: What would I do in the layover city? What times would I depart and arrive, how would I get to / from the airport, etc. While the prices started to drop, I didn’t really like the options, so I fiddled around with multi-city bookings, inputting the routes I found. First, figure out the main parameters of your trip: Departure and Arrival city, with the desired dates. Search individually for one way tickets, try a few date variations, and gain a sense of the prices and options. Remember mid-week flights are generally the cheapest. If you find a date you need or like, you can set a price alert for email updates when prices change. Tracking fluctuations is important, for single or multi-city bookings alike. Take note of any stopover cities on the way. This is critical! I edit a simple text file charting all my options. I only enter possibilities I have any interest in whatsoever – discarding 40 hour journeys, or legs on airlines I’d prefer not to fly. You can also search on other sites to gain a clearer picture. Occasionally, I will use Momondo as well. An excellent, unique Momondo feature is Flight Insight. This provides data on best time, day of week, carriers, days before a trip, to buy tickets. Search for a route, and click the “Flight insight for…” button. You should now have an idea of the best date to depart. 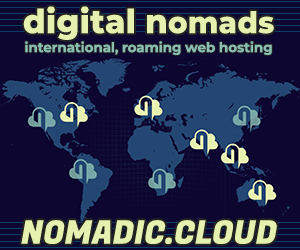 It may mean a day earlier or later, but it’s a useful starting point for multi-city bookings. You’ll hear that the best time to buy flights is on a Tuesday or Wednesday. Some people dispute this, but I have noticed it to be true enough to try it out. Airline sales and prices for the upcoming week are often released early to mid week, and the prices reflect this. If you find prices through searches over the weekend, try again the middle of next week and check the difference. While my travel plans in 2018 are currently murky, my current idea is to fly Melbourne to Copenhagen in April. After summer in Europe, I have to return to Delhi for DomainX 2018 in August. I checked one way from Melbourne to Copenhagen. And then one way from Copenhagen to New Delhi. AUD$1430 for the cheapest, most realistic journey. $1740 for my more desired route. Both are too expensive. Now it’s time to play with multi-city bookings. Something interesting is when you fly to one region, and fly to another, it reveals round-trip-like prices. Best of all, you don’t need to fly in or out of the same city! You can fly into one city, and out of another, on the same continent. Before, I was looking at central cities close to my arrival and departure cities. Frankfurt, for instance, is close enough to Berlin and Copenhagen, that I could find my way there easily if necessary. Multi-city bookings removed my need to do this and allow me added flexibility for my journey. The process is now simple – click on Multi-City Bookings, and enter your departure and destination cities. For those interested in flights to a singular continent, you can use stopovers you found as the first arrival, and from there to the destination. If you’re not staying over too long, remember to leave much more than enough time in between flights! For those who want to spin off a free or discounted flight to your next continent, this is similar to how I approach my flights. You can adjust the departure dates, as these new routes and prices may differ from the ones in your initial searches. 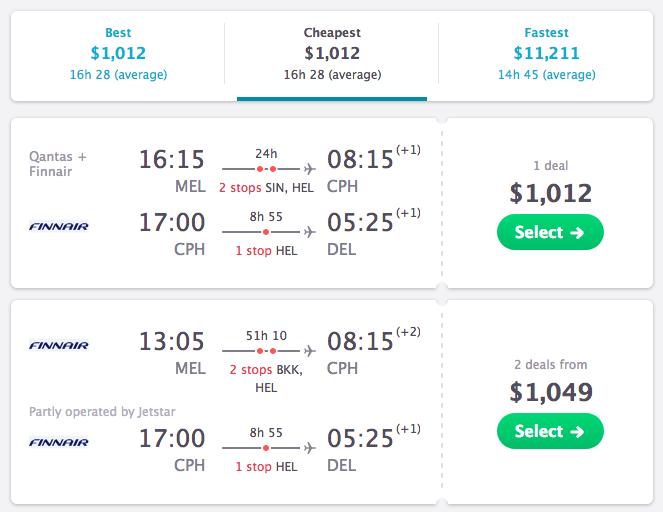 The price of AUD$1012 for these flights is far more affordable. Even the $1049 result would earn me bonus nights in Bangkok and Helsinki en route, if that’s what I wanted to do. Now, we are a long way off from April 2018 at time of this example. Prices will drop, new routes will come on sale. This is where tracking prices is important. If I want this trip, I won’t buy my flights until February or March. By then, I’ll know when I see a price that can’t be beat, and one I’ll be happy with. Be ready and confident to strike. I hope this was helpful. 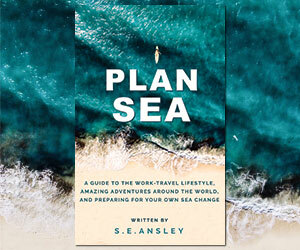 It’s another tool for the avid, inspired traveler, and one that could save you thousands of dollars in your travel life. Save money? Find exciting new journeys and destinations? Have a go, and let me know. I want to hear your success stories! If you need any help fine tuning your searches, please send me a message.